I know I have been slacking and I am sorry. I really wanted to do this every week but things have just been C-R-A-Z-Y over here. So today I just want to share with you a couple amazing resources I have been using to help prep my kids for the big test. First of all, Ashleigh has the most AMAZING resources. I have bought so much from her it is unbelievable! And I am NEVER disappointed when I shop in her store. I bought all 3 sets of her test prep task cards(set 1, set 2, set 3). I project these on the smart board and let the kids put their answers on dry erase boards. To make it fun (and work on time limits) I give stickers for the first 3 to get it correct. They put their stickers on an index card and then when they have 25 stickers they can trade it in for a prize box pick. I also bought her test prep math assessments. 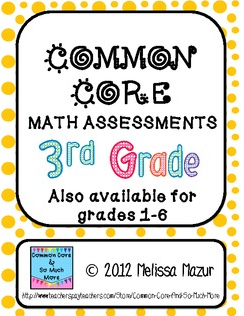 I love that these are organized by standards and they will come in handy next year when we fully switch to common core. I have given these as practice, homework, and we have even done some together on the board. 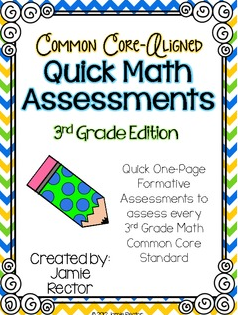 Another amazing resource that is common core aligned and done by standard is Jamie's Math Quick Assessments. She just recently update the entire file and it is super amazing! I typically pull these up on the board and we just go through them together. It saves on copies (we have limits ya know). 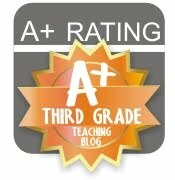 And my final go to for math review this past few weeks is from Melissa at Common Core and So Much More. They are her Math Assessments and are also done by standard. These I have sent for homework. I send home one or two sheets based on which skills we have been reviewing. These products have saved me in so many ways and made planning for review so easy that I couldn't keep them to myself. 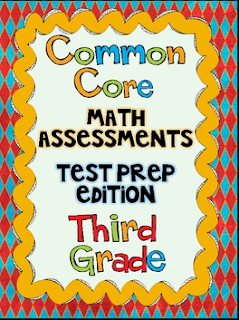 I would recommend any of these products to anyone looking for common core aligned math assessments or review. My favorite thing about them is how they are done by standard. I can take a page from each file for any given standard and have a great variety of practice!